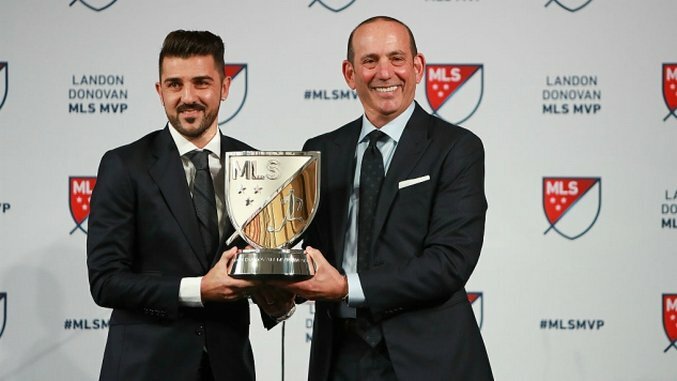 Last week executives from Major League Soccer told Sports Business Daily that they have a plan to get more people watching their games on television. The article is behind a paywall but World Soccer Talk has a decent summary. The league’s big plan for bigger ratings? The WST article put it succinctly: these ideas are mostly window-dressing. None of this will move the needle in terms of getting more people to tune in. What’s likely going on here is that MLS is signalling to networks that they are pliable. They’re telling their current broadcast partners— and anyone who might be interested in bidding for TV rights down the road— that they’re willing to do whatever the network wants. Considering some of these networks’ more, uh, one-sided relationships with other leagues, this may well strike some broadcast executives as a refreshing change of pace. Take a look at these TV ratings for soccer programming this week. Liga MX topped the list, as it usually does, but even the top-ranked playoff game between Leon and Cruz Azul didn’t crack a million viewers. The Champions League semifinal between Real Madrid and Atlético Madrid brought in 779k viewers. Arsenal vs Manchester United? 767k viewers. Even good soccer doesn’t get amazing ratings. They’re decent enough, but they’re on par with, say, college basketball or regular season NHL hockey. So there’s already a hard ceiling in terms of what kind of numbers they can bring in, albeit one that’s being slowly inched upwards. But MLS— and I say this as someone who loves MLS, who supports strong domestic soccer in the US, and is a diehard Chicago Fire fan— is just not that good. They could be good, one day. But that will require spending money. Not just on foreign stars, but on the domestic talent they already have and on capital and payroll expenditures to make sure every franchise has a strong academy setup. MLS, at present, doesn’t seem to want to spend that kind of money. Or at least, not on paying players the amount needed to acquire and maintain top talent. So until they get over that aversion to paying players what they’re worth and making sure MLS has some of the best talent in the world, they’re always going to be the dorky little brother of American soccer broadcasts. And all the huddle cams in all the world won’t make that better.